New caregivers are often overwhelmed by their responsibilities. However, there are ways to successfully navigate the early stages of the caregiving journey. Here are six tips for new family caregivers. For new caregivers, knowledge is essential. Learn as much as possible about your senior loved one’s diagnosis. Providing care for a senior with Alzheimer’s is different than providing care for a senior recovering from a stroke. You need to know what to expect from your loved one’s condition, as it could help you anticipate his or her needs. Caregivers experience complex emotions on a daily basis. You may experience grief, joy, sadness, and exhaustion in the span of a day, and you may not be prepared for the emotional ups and downs of your new role. Navigating this emotional landscape can be challenging at first, but you will be able to face these challenges if you’re guided by compassion. When you’re not sure what to do, stop and consider how you would want to be cared for if you were in the same situation. Empathy can help you push through exhaustion or irritability, allowing you to focus on the task at hand. When new caregivers throw themselves into their work, they tend to neglect their own needs. Don’t forget to eat right, exercise, and get a good night’s rest. If you’re not healthy, you can’t provide your loved one with optimal care. Being unhealthy can also affect your emotional and mental health, which puts you at greater risk for caregiver burnout. New caregivers may think they have everything under control, but caregiving responsibilities are many and varied. If you don’t have time to pick up a prescription refill or make dinner on Sunday night, ask for help. Help can come from friends and family members, and it can come from outside services like an in-home caregiver. If you strike the right balance from the beginning, you’re less likely to develop unhealthy caregiving habits. There are a variety of reasons family caregivers should consider respite care. Clarksville, TN, families often have additional responsibilities that make it more challenging to provide the care their senior loved ones need and deserve. A professional respite caregiver can take over your important caregiving duties, allowing you more time to focus on yourself. To have a successful caregiving experience, planning is essential. As early as possible, discuss long-term plans with your loved one and other family members. By setting realistic expectations about the care you can provide, you can avoid uncomfortable situations. It’s also important to take care of legal and financial issues early. Legal documents like powers of attorney and living wills prepare families in the event of an emergency. You need a comprehensive understanding of your loved one’s financial status as well, since it has an impact on caregiving decisions. In the early days, caregivers make mistakes. As you learn to manage unexpected situations and settle into a daily routine, you won’t always make the right decisions. Instead of dwelling on failures, learn from them. Forgive yourself for your mistakes and move on with a greater sense of purpose. 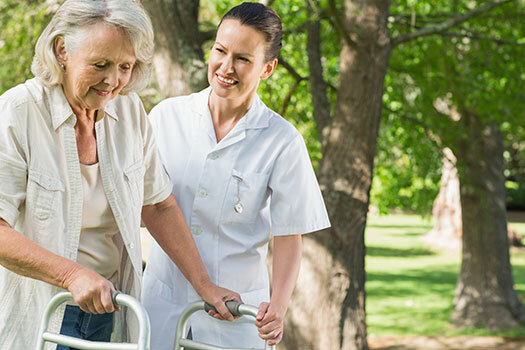 If you are the primary family caregiver for an elderly loved one and need additional assistance providing high-quality home care, Clarksville Home Care Assistance can help. We are a leading home care agency committed to changing the way seniors age. To speak with one of our friendly Care Managers and schedule a free in-home consultation, please call (931) 444-1950 today.